Wah pedals are always the biggest pain to fit on your pedalboard. Full sized options are generally too big to fit on most commercial boards and even a lot of smaller ones are still pretty big. 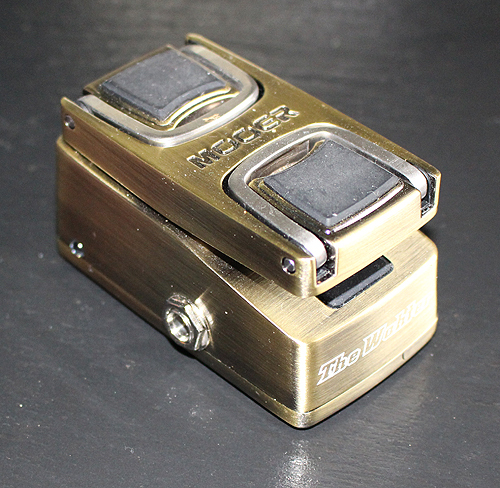 Enter the Mooer Wahter a very cool new lightweight wah pedal with extendable body meaning that you can fit this on any pedalboard with no problems. 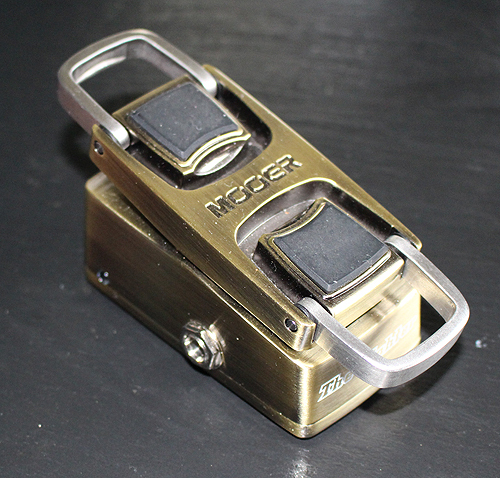 Mooer is well known for making some absolutely tiny pedals that can easily fit in to almost any rig. No matter if you need it to fit just in your gigbag or on an already packed pedalboard this is going to work for you. Using a small body not much larger than any other Mooer pedal the key to getting the best out of it sits in the extendable pedal. Just flick these two bars with a plectrum and you are ready to perform just like you had a much larger wah. 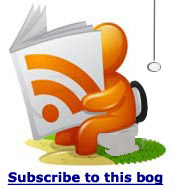 Does the Wahter need to be in a huge size format? Is it the only way to turn on/off the Wah pedal by stepping to the bottom? Does the Wah pedal have any more function? With all these questions, we developed a new Wah pedal - The Wahter. The Wahter recreates the vocal sweep and lush harmonics of the classic wah tone while keeping the tiny size. Using high-quality electronic components, ensuring a good response to your touch and smoothness of the tone. Unique pressure sensor switch design relieves you from the traditional foot switch design, enabling you to concentrate more on the guitar playing.